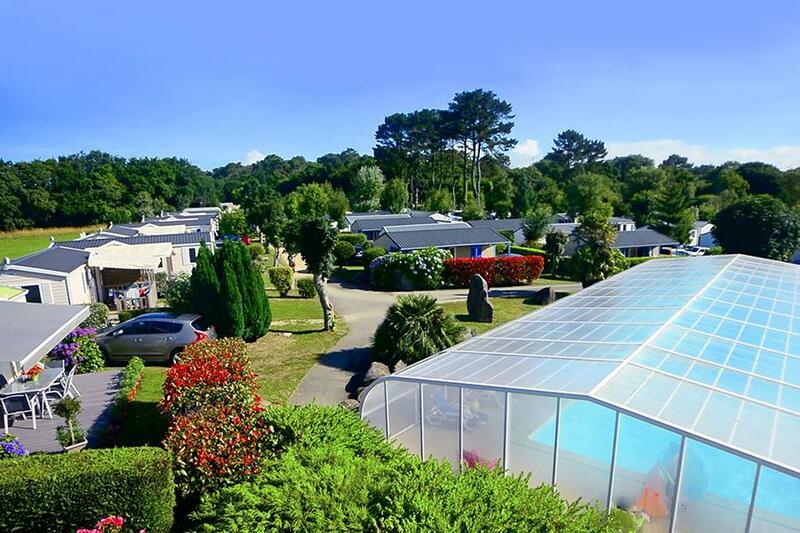 At Flower Camping de Kerleyou in Douarnenez (Finistère) camping costs as little as €16,- per night during low season with CampingCard ACSI. At one of the 48 touring pitches you will get a discounted rate during the period 06-04-2019 - 05-07-2019 and 26-08-2019 - 21-09-2019. At this campsite you can not only use your CampingCard ACSI for inexpensive camping, you can also use your ACSI Club ID (as an alternative ID). Well-located in Douarnenez in natural surroundings at 1.3 km from the beach at Sables Blancs, peace, comfort, and outstanding facilities. Whether you are just the two of you or with the whole family, this pleasant, colourful family campsite in the quiet countryside close to beach and shops will offer you a comfortable holiday. Would you like to book Flower Camping de Kerleyou or request more information? You can do both using the information below. In Douarnenez, drive direction Tréboul. Follow green sign to 'campings'. Then the campsite has it's own sign. CampingCard ACSI will send your information request to "Flower Camping de Kerleyou".